To be fair to the government, the Syrian refugee program was set up with better outcome tracking in place, to allow for a higher quality evaluation at the five-year mark. Census 2021 will also provide a good sense of how well Syrian refugees have done, both PSRs and GARs. Prime Minister Justin Trudeau’s election promise to welcome 25,000 refugees from Syria was aimed at showing voters his compassion. The followup photo opportunities he arranged in 2015 with smiling Syrian refugees, such as doctors, drew international headlines. Once in power, Trudeau’s Liberals switched the name of the Immigration Department to Immigration, Refugees and Citizenship Canada, to highlight their concern for those forced to leave chaotic home countries, especially Syria. Given the grand gestures, you would be forgiven for believing the federal Liberals and the department responsible for refugees would be tracking the fate of the tens of the thousands of struggling Syrians that Canada has recently taken in. But, after more than two weeks of inquiries by Postmedia, a media relations officer acknowledged the department has not produced any report in almost two years on the about 50,000 Syrian refugees now in Canada. The federal Liberals are not following the more transparent approach of Sweden and Germany, which took in the largest numbers of the 2.6 million mostly-Syrian asylum seekers who arrived in Europe in 2015 and 2016. The governments of those countries are providing extensive data on refugee outcomes, in addition to launching waves of job-training programs. Immigration, Refugees and Citizenship Canada did, to be fair, release a one-year-after report on Syrian refugees in December, 2016. It was moderately helpful, since it showed half the privately sponsored refugees had jobs in Canada. But employment fell to 10 per cent among the larger cohort of “government-assisted” refugees, who are typically less educated and often illiterate. The early Ottawa report also touched on how, after refugees’ first year in Canada, they are cut off from direct stipends from the federal government. How have things gone for Syrian refugees in Canada in the almost two years since that lone departmental report? No one really knows. That’s unlike in Sweden and Germany, where refugee programs are increasingly thorny electoral issues. Sweden has discovered, for instance, that, despite creating hundreds of “fast-track” job-training programs for recent refugees, only one third of those who completed a two-year full-time integration program in 2017 were working or studying three months later. Refugees in Germany have done a bit better, but three-quarters are working in jobs needing few skills and with poor prospects. Unemployment is exceedingly high. 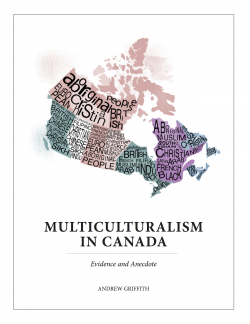 How is integration going in Canada? When Postmedia sought answers from Immigration, Refugees and Citizenship Canada, a media official provided the website of another public-relations official at another department, who recommended contacting Canadian academics, who either didn’t respond, had nothing to say or suggested contacting yet other academics. It’s known as “getting the runaround.” It may eventually bear fruit, but who knows? One non-governmental source in B.C., however, did have some helpful informal insights about what’s happening in this province, the destination of about one in 10 Syrian refugees. Maggie Hosgood, who has helped coordinate more than 100 B.C. United Church congregations that have privately sponsored 65 Syrian families, said most refugees “are doing all right,” with good outcomes for children, especially girls, who attend public schools. But most refugees, many of whom end up in Burnaby, are struggling to afford housing in hyper-costly Metro Vancouver. In addition, Hosgood estimated roughly one in four Syrian adults are on welfare. Unlike the highly educated refugees who Trudeau mingles with for photo opportunities, most Syrian refugees have jobs that require few skills, such as cleaners or jobs in shops where they don’t have to speak English. Many Syrians are struggling to learn English in the classroom, Hosgood said, regretting that the former federal Conservative government did away with a program in which refugees could, at the same time, learn both English and a trade. As German and Swedish government officials are discovering, Hosgood also confirmed many Middle Eastern “husbands don’t want their wives to work.” They think, she said, the woman should stay at home and the husband should provide for the family. Syrian mothers and fathers with four children can get about $50,000 a year in various taxpayer-funded social-service benefits. The Canada Child Benefit provides $6,400 a year for each child under six and $5,400 for children between six and 17, while provincial welfare can give about $12,000 a year to each adult. Hosgood said many of the grateful Syrian refugees, who know how to stretch their money, are now starting to sponsor relatives to come to Canada. Integrating refugees into the well-off West requires playing the long game. European countries have found that refugees’ full entry into the taxpaying workforce often doesn’t approach the national average for a couple of decades. Instead of posturing in photo opportunities, Canada’s governing politicians need to follow Europe and track what is happening on the difficult ground. It’s impossible to create effective integration programs if no one knows what’s working and what’s not.